They have wowed audiences at clubs and festivals both across the country and abroad. 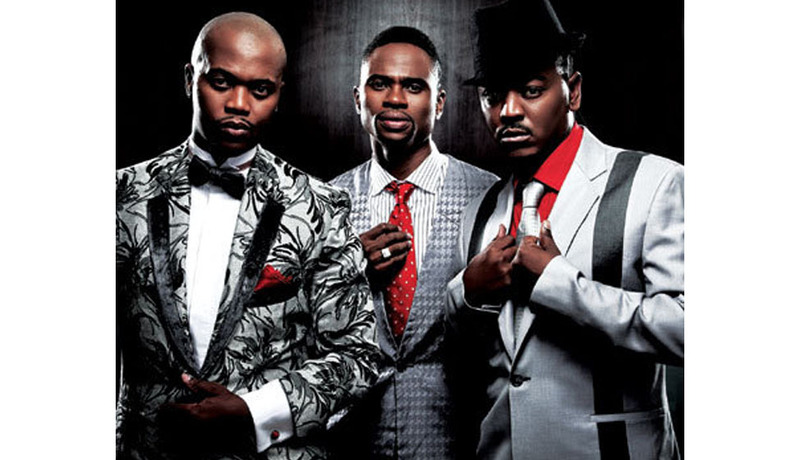 They completed the largest ever Southern African tour by an SA artist, which comprised of over 125 shows in SA, Swaziland and Botswana etc, and all this was done in just six weeks! Thereafter they spread their wings and ended an incredible year with a huge New Years Eve bash on the beach at one of the top hotels in Dubai. Tempted by the international shore, they spent almost six weeks during August and September 2005 travelling across England, Ireland and Dubai, where they were invited to perform at numerous clubs and festivals including the world renowned Notting Hill Carnival. On their return to SA, DENIM embarked on a five city national tour that was hosted by Sun International and was held at some of the top venues in the country including Hanover (CT), Krakatoa (DBN), The Boardwalk (PE), Sun City & Club 29 (Kimberly). Widely regarded as one of SA’s Top Live Acts, DENIM have a string of hits to their name, and performances at some of the most prestigious events in South Africa. The group has received numerous accolades for both their music and their performance and passion. The list of blue chip clients that have booked them for their corporate events includes Microsoft, ABI, SAB, Edcon, Standard Bank, Nedbank, Boxing SA, Sun International, Unilevers, De Beers, Colgate etc. The true mark of their success is that they have been booked over and over again by the same clients, event companies, festival organizers and club owners, proving that not only is the group professional to work with and an obvious hit with their audience but a very hard act to follow! 2007 started with a bang when DENIM released their hit single “Cant take my eyes off you” from their new album which saw the band dominate the number one position of many radio stations across South Africa and hitting record sales in its first few weeks of release. DENIM have written and produced various tracks for television, including the theme music for Take 5 and Kids News Room. They have been invited to perform for various prestigious functions and charity events, including Zindzi Mandela’s Birthday Party where they performed, yet again, in front of Nelson Mandela. Despite their busy schedule the group have managed to find the time to give back to their community. They have strong ties with Reach for a Dream, The Variety Club and CHOC, but have also worked with many other worthy charitable organizations, and most recently they have been actively involved in Greening programmes with the Miss Earth Foundation. With a well-earned reputation as one of SA’s Best Live Acts, DENIM is a band not to be missed!